Let's celebrate Valentine's Day together. 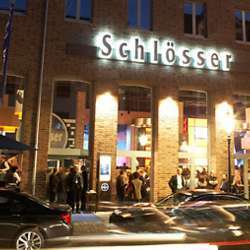 The well-known Schlösser Quartier Bohème is located in the heart of the city center and offers a very relaxed and friendly atmosphere to mingle! If you are new in town or just new to InterNations and/or if this is the first time you attend an InterNations Event, don’t be shy, because you won't be the only one :) This event is specially organized for you! Hint: The one with the best dressing receives a surprise gift of InterNations! To make the first step even easier, we have established the Newcomers' Event series. Contrary to normal events, an event such as this one is exclusively for newcomers. This way it is easier to get in touch and to get a taste of the real InterNations spirit in small groups. Share fun, joy, and happiness with other members of our community. You'll have plenty of time to get to know each other and learn more about what InterNations is all about! This is a great opportunity to meet global minds, mingle, network, and make new friends. You are most welcome to bring your international friends but please ask them to register with InterNations first.